When registering in social networks or forums, one of the first steps the user is prompted to download an avatar. Not everyone knows the meaning of this word and its role. Avatar or Av is a graphic embodiment of the user, its essence display. In addition to social networking avatars can be used in blogs, chat yhrah. 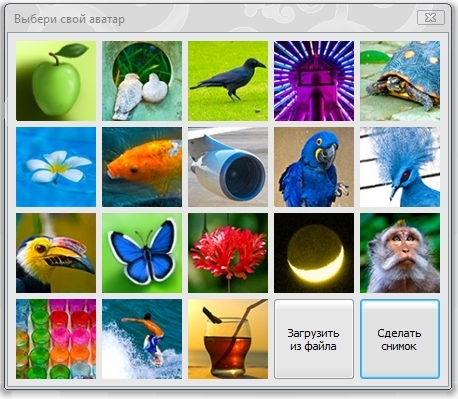 For these purposes, used pictures, animated screensaver, there are also options for text. Selecting an Avatar often reflects the inner world of user, some of its feature. worth remembering, that the more likeable and positive attitude carries the selected image, the activity of other members of a portal will be paying attention to it. often, that over time the avatar is losing its relevance. It is not too much difficulty, because below attached detailed instructions on how to, how to change avatars. First, let's consider a typical list of the change of the image on the net. Sign in and log in with your username and password. Go to your profile settings (most often it is "My Account"). Download image, selecting "Edit Avatar". To copy any picture, right-click. Go to your personal Cabinet. Select the upload an avatar from a URL. To paste the copied data into the appropriate line. Go to menu change your avatar. Save the image, and it will be displayed in your profile. We can not ignore the most well-known network services. In each of them there are small features. Click the left mouse button on the avatar and paste the new image into the window that appears. To find personal data item change your avatar. In the window that appears, click the "Browse", select the desired object. On the page enter in the section "Photos". Go in "All personal photos". To mark a photo as the main. On the page put the cursor on the photo. To take pictures web camera or upload image from your computer. Under your avatar to choose "Edit"
Find “Change avatar in CSS”. On your channel go to "channel Settings". If the image is already need to remove it. Select the desired image and upload it. Click "Finish" (upper right corner). Under the current avatar click on "Change photo". There is also the option to change the avatar while viewing your photos. To do this, click on the option "Add to my page" in the menu, which is located to the right of the image. As you might guess, Change avatar is not difficult, if you follow the simple operation from the list. But changing it from time to time, it is thus possible to express their emotions, involve communication and dating new people, opens the door to the inner world and just have fun.